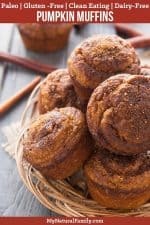 Paleo pumpkin muffins with almond flour recipe have a texture more consistent with a traditional muffin. You’ll love them! 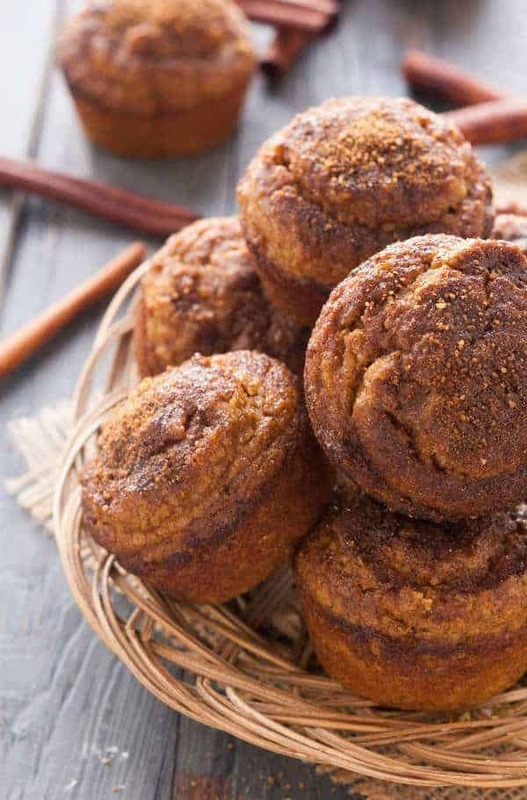 These Paleo pumpkin muffins with almond flour recipe are grain-free, dairy-free and fat-free. Pumpkin puree is used and makes oil unnecessary. Three different Paleo flours are used to give these Paleo pumpkin muffins with almond flour recipe a texture more consistent with a traditional muffin. 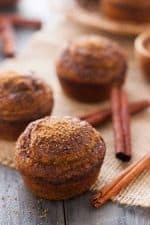 I used coconut palm sugar mixed with spices to give the muffins a cinnamon sugar sort of topping, though if you didn’t find this to be consistent with your Paleo definition, you could just use the spices. I think it really gives it a texture it needs as well as a little sweetness. Here in Utah, it seems like Halloween is the beginning of winter. Before Halloween, we love being outside in the day. Not too hot. Not too cold. We go to corn mazes, hay rides, straw mazes, wagon rides and all those fun Halloween activities. Then we start out trick-or-treating. We are usually the first ones to start in the neighborhood, around 6 pm, or even earlier. My children barely eat any dinner, which isn’t exactly good for eating candy. When we start out, it’s nice and warm. Sometimes you don’t even need a jacket, but by the time we’re done, we’re all freezing. So not fair. Seems like, after that, we hardly go outside for a few months. I hate it. I really need to start going out in the winter more, but we get inversion really bad here, especially in January, and it’s not safe to go outside. After a small dinner and a few pieces of candy, I hide the rest of the candy and we usually have a little treat. I tried these on the kids this year and they were a hit. They felt like they were getting dessert, but I felt like they were getting something healthy to fill them out and balance out the candy (which I probably shouldn’t let them eat). 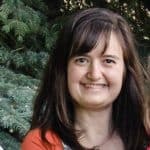 For my Type I Diabetic son, he just sells me his candy and I send it to work my husband to hand out to his co-workers. Win-Win. This is a delicious fall snack or treat. It is great for the Halloween/Thanksgiving/Christmas season. These muffins are so good you and friends won’t even notice that they are Paleo. I think it is time to make these muffins and a cup of Paleo hot cocoa and cuddle up on the couch. Hmm. Sounds fantastic! These paleo pumpkin muffins are grain-free, dairy-free and fat-free. Pumpkin puree is used and makes oil unnecessary. Three different paleo flours are used to give these muffins a texture more consistent with a traditional muffin. I used coconut palm sugar mixed with spices to give the muffins a cinnamon sugar sort of topping, though if you didn’t find this to be consistent with your paleo definition, you could just use the spices. I think it really gives it a texture it needs as well as a little sweetness. Preheat the oven to 350 degrees. Grease 8 wells of a muffin tin (preferably non-stick). In a mixing bowl, whisk together the almond flour, tapioca flour, Coconut Flour, baking powder, baking soda, salt, and pumpkin pie spice. In another bowl, whisk together the pumpkin puree, eggs, vanilla, and honey until smooth. Add the wet ingredients to the dry and whisk in until mixture is smooth. Allow to sit for 10 minutes before baking so that the coconut flour can fully absorb the liquid. Divide the batter between the 8 greased muffin tins, using a scoop to distribute the batter so that the tops are rounded. In a small bowl, mix together the coconut palm sugar and pumpkin pie spice. Sprinkle the mixture over the tops of the muffins. Bake muffins in preheated oven for 18-21 minutes. Muffins are done when they are firm to the touch on top. Let sit for one minute on the counter and then run a knife around the edges of each muffin to loosen. They should loosen quite easily if you used a non-stick pan and greased it well. Thank you so much for creating and sharing this recipe! I didn’t have tapioca starch on hand so I used arrowroot instead and it worked great! I’ve made these a few times now. Great recipe! Do you think I might be able to sub the 1/4 C tapioca flour for 1/4 C almond? How much do you think that would change the texture? Thanks! It is worth a try. I would think it would be fine but you won’t know till you just try. Made these in mini muffin cups for a Halloween brunch and they got demolished! ! They were moist n delicious. Thank you! Will be making again…like tonight lol. These are seriously divine. I only had a tablespoon of honey, so had to sub the other tablespoon for maple syrup, but they still turned out amazing. I made 18 mini muffins instead in an attempt not to eat them all at once, but so far it’s not working at all. I LOVE them. I’ve been eating them with pumpkin seed butter. I can’t stop freaking out about how good they turned out!! These turned out great. The only thing I did different was add some pecan pieces to the top before the sugar topping. I like the extra crunch they give. Thanks for the recipe. I just made these for my family and we love them! It actually made 12 muffins in my silicone pan, yay! I did have to bake them 10 minutes longer, but it was worth the wait 🙂 Thanks for the great fall recipe! I just made this and they are really dry and not very flavorful. Disappointed that I wasted these ingredients. Oh well, you live and learn.. These muffins look yummy – have to try this recipe! These look so good. I am really looking forward to making these! Oh and I melted coconut butter and spread it on top. So good! Just made these again for the second time! They are so moist and delicious! Thanks for the recipe! Never tried tapioca flour, think I’ll try these and see what a difference it makes to texture and rise-ability. Those look wonderful and I like all the ingredients.